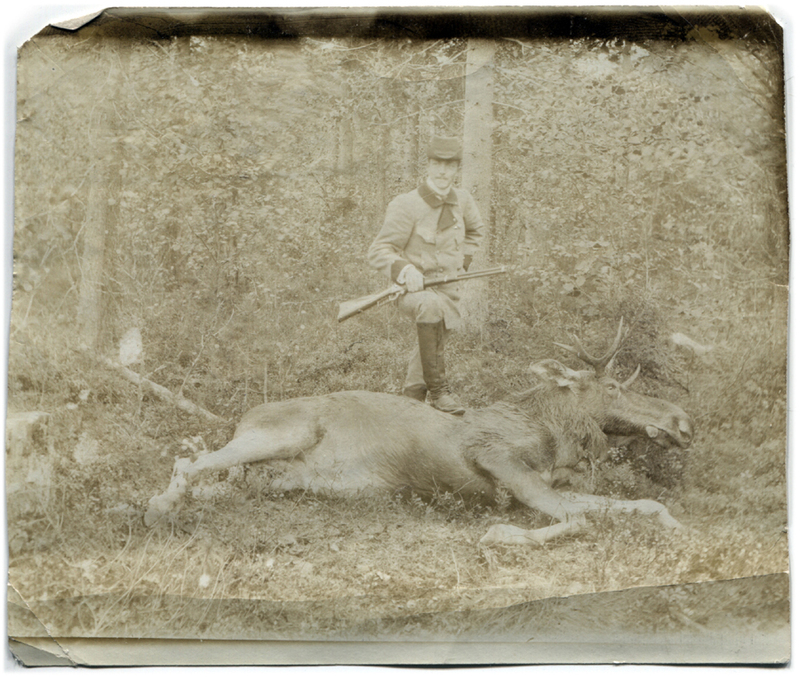 In this photograph, a man dressed in a hunting costume and carrying a rifle is standing above a dead moose; his latest catch, undoubtedly. The tongue of the unfortunate moose is hanging from the corner of the moose’s mouth, which looks almost comical in a way. This photograph has been taken by an unknown (amateur?) photographer. The date and location are also unknown, but it is possible the photograph was taken in Finland, roughly around the 1910’s.